Another item has been added to my ever-growing wishlist. 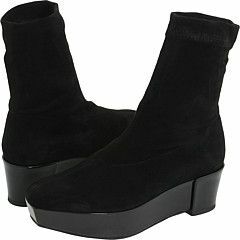 I love how discreet they are and the square toe and substantial platform give them a perfectly modern appeal. Plus, the stretchy top looks sooo comfortable! 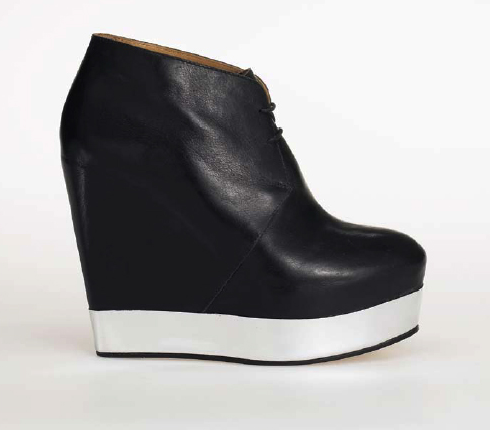 I discovered these babies while looking up the amazing shoes below from the Vena Cava show. I'm assuming these are not out yet, but they remind me of Acne's popular Atacoma wedges except less bulk and reversed colorway.